Please only contact us via E-MAIL. If you want to send us a packet or a letter then please first ask us via e-mail. It can require 2-10 days on average, because we also have other (Internet) projects. Thank you for your patience. 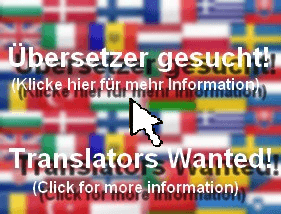 Please only write us in English or German. We don’t understand other languages. If you have had a special experience with this project or if you want to write us a testimony then please use the Testimony Pages. If you have a technical question or if you have encountered a technical problem with this website then please have a look at the subpage Technical Help. If you don’t find an answer for your question or a solution for your problem then please write us. If you want to know more about the project, e.g. why we created this website, then go to About This Site.